It was a little dark in the room, but they had flashing LED balloons scattered throughout the space. Scott grabbed some Christmas lights and put them around the bowl, which accentuated the N2O vapors boiling out. It was quite the sight. We had a blast. Scott and I served up frozen dollop over dollop of coconut goodness, and watched the reactions as people blew dragon’s breath through their nose. Smiles, laughter and thumbs up all around. And that’s the whole point of cooking, really, isn’t it? The coolest part had to be the tour of the lab. Scott described it perfectly: it was like a Hollywood movie, where everything was cutting edge, the architecture was modern, and all the people were too good looking to actually be scientists. There were so many cool machines and bottles and tubes and whatnot. Geek heaven. 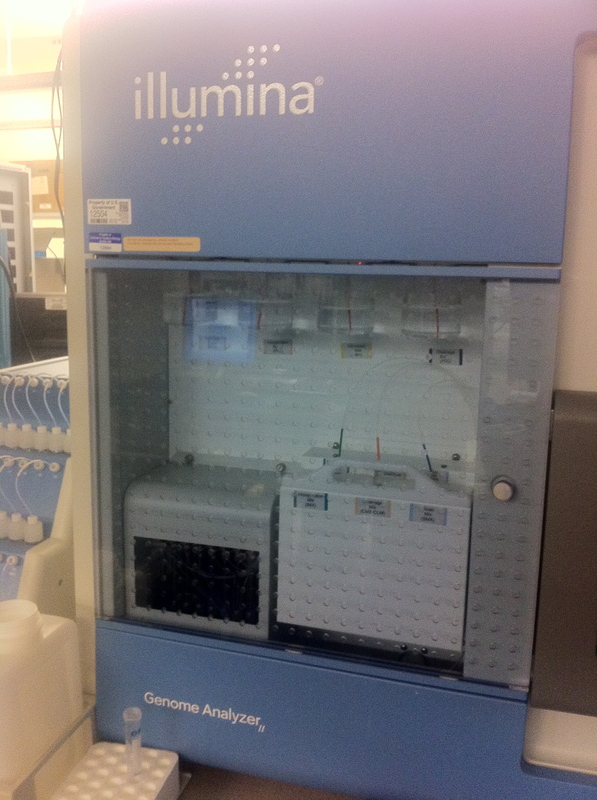 One thing that caught our eye in particular: the ULTRACENTRIFUGE. 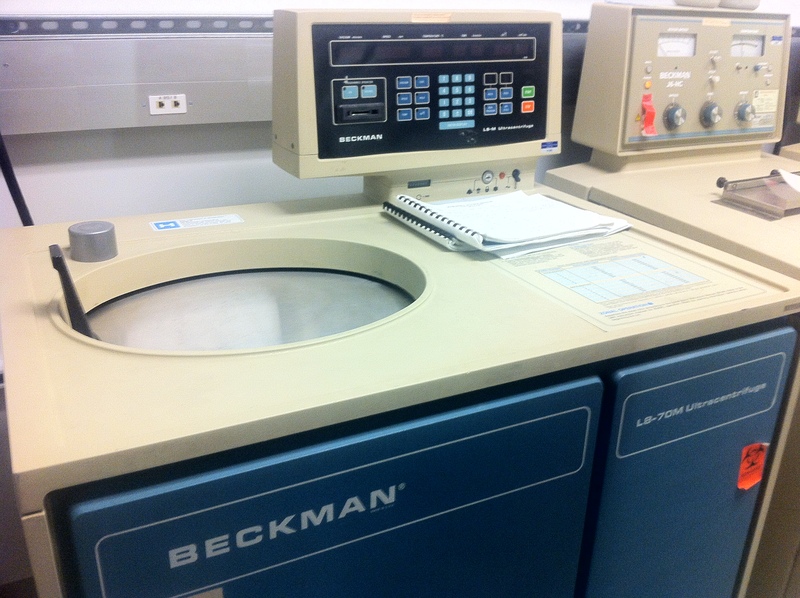 Scott and I both own Beckman centrifuges, but this one was huge. We could make soooo much pea butter in that thing. 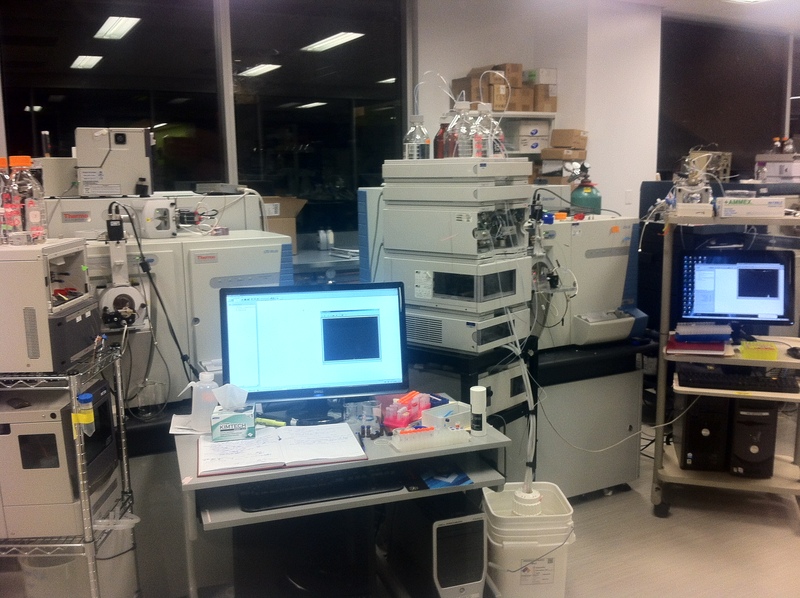 A big thanks to the people at the Institute for Systems Biology for having us. It was great fun and a pleasure to meet everyone. 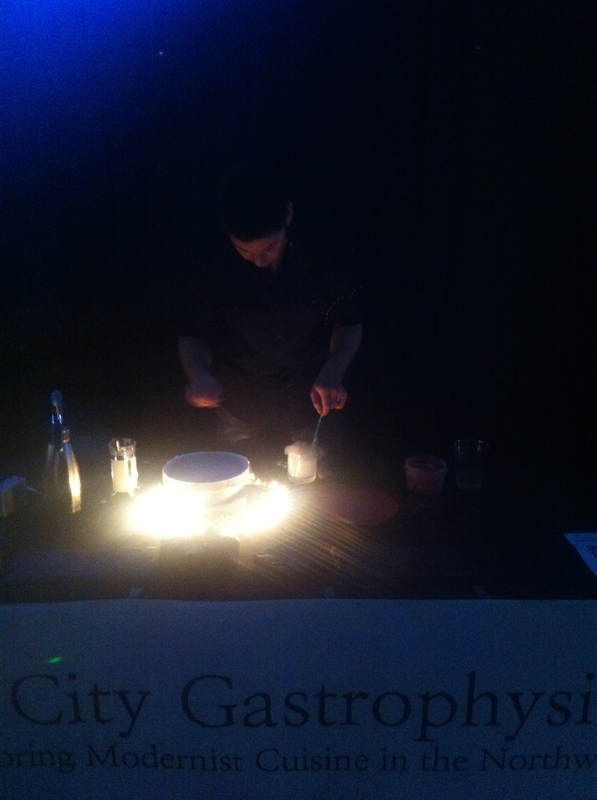 And if you’re interested in having Modernist Cuisine at your next function, drop us an email. 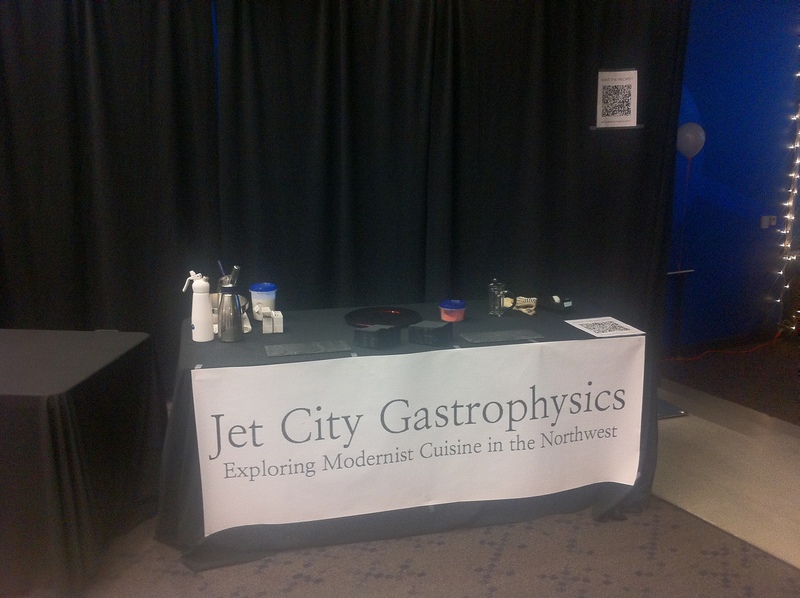 Molecular Gastronomy – it’s not just for home cooking anymore. Feel free to come back and use our fancy equipment to make more yummy food for us, your coconut rasperry something was very well received ;).